The second-most powerful man in African football has branded video of him apparently taking cash gifts "lies". Former Ghana Football Association (GFA) head Kwesi Nyantakyi was seen taking $65,000 (£48,000) from an undercover reporter. But Mr Nyantakyi says the footage was doctored, dismissing it as "shoddy work with cut and paste". He also says that audio snippets have been "inserted" and rearranged so as to falsely incriminate him. It is against the rules of Fifa, football's world governing body, to accept any gifts of cash. Mr Nyantakyi resigned from his posts with Fifa and the Confederation of African Football (Caf) after the footage was made public in June. It is the first time he has commented on the allegations since stepping down. BBC Africa Eye had exclusive access to dozens of hours of footage filmed by controversial journalist Anas Aremayaw Anas for its latest film. Anas has not responded to Mr Nyantakyi's allegation that the film was doctored but local media quote him denying Mr Nyantakyi's other claim - that the money he was seen being paid was a "refund" for travel expenses. 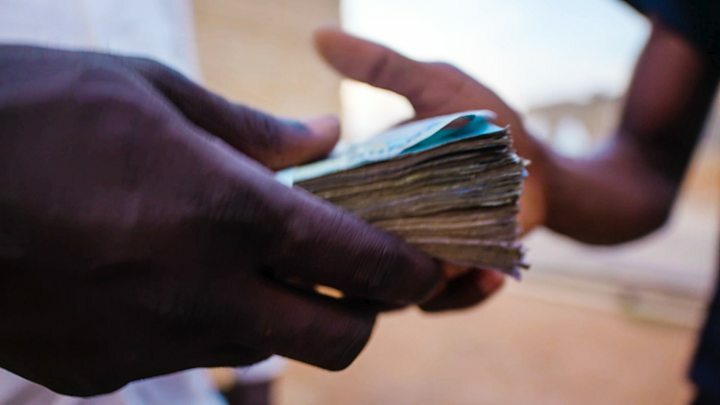 In total, more than 100 football officials and administrators were shown accepting cash gifts in the investigative documentary that has left many Ghanaians in shock. All of the members of the association who were caught on tape accepting cash gifts are already under investigation by the police. Among them is Kenyan referee Adel Range Marwa, who was due to officiate at the World Cup in Russia, before he was filmed receiving a $600 "gift" in a separate sting. Mr Marwa was given money by an undercover reporter posing as an official of a top Ghanaian football side. The film shows an undercover reporter pretending to be a businessman keen to invest in Ghanaian football. He places piles of money down and tells Mr Nyantakyi that it is "shopping for now". Mr Nyantakyi is then seen putting the money into a plastic bag. Mr Nyantakyi alleges the the audio, "shopping for now", was a voice-over. "This insertion of an over riding voice was clearly an afterthought," he says. He also disputes the amount of cash he was given. "I was handed the sum of $40,000... but not $65,000... which... [I] understood to be reimbursement for the travel costs incurred by me," Mr Nyantakyi says. The investigation by Anas has raised serious questions about the nature of football in Ghana. Last week, Ghana's high court banned all activities of the Ghana Football Association for 10 days. Ghana's attorney general had petitioned the high court to dissolve the country's FA, arguing it had been used for illegal activity and was no longer fit for purpose. Some Ghana FA officials were prevented from travelling to Russia to take part in last week's election of a host for the 2026 World Cup.